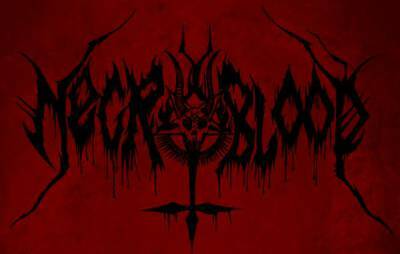 Necroblood’s story reads as a kind of war metal fairytale. Small band from Paris comes together, records a demo’s worth of filthy, VON and Archgoat-worshippin’ tunes, then gets swept off its feet by French black metal royalty MkM and signed to his newly-resurrected label in order to release their debut EP, ‘The Rite of Evil’, in 2011. “MkM offered this deal after stumbling upon our demo and seeing us play in Paris,” an unnamed ghoul intones. “He really liked the music and atmosphere of Necroblood and he honoured us with the resurrection of Spikekult to release an EP. I have to admit that being on a label that released material such as Demoncy or Grand Belial’s Key, and that was obviously only resurrected for us and an Aosoth release, is very flattering. It’s an incredible promotion, which isn’t offered to everybody in this particular black metal scene, and especially for a small local band!” Humility is a virtue, but that’s about the only virtuous thing about this blasphemous horde. Alongside Ritualization, Necrowretch, Affliction Gate, Perversifier and Cadaveric Fumes, Necroblood are leading the charge for a new wave of French extremity. With Deathspell Omega out searching for the philosopher’s stone and Alcest floating away in fairyland, it’s nice to see someone hoisting the flag for the old ways. With a new EP ready to record and release early this year and rumours of an upcoming tour besides, this won’t be the last we hear from this French black legion. Watch your back.